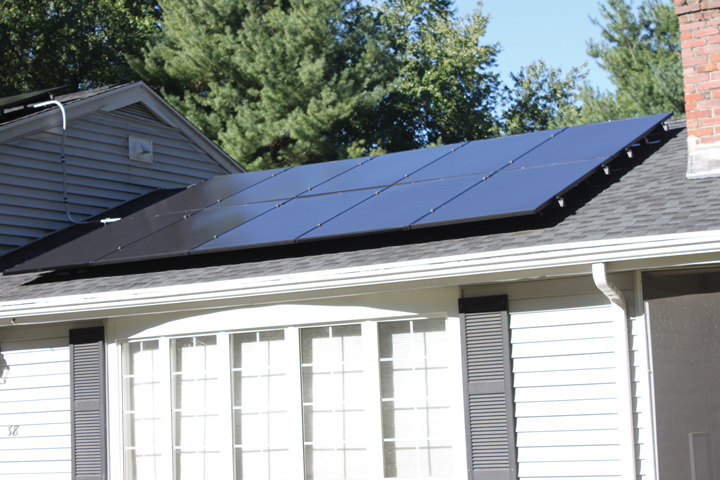 Module Evolution: What big-time PV improvements will boost panel efficiency? At Intersolar North America in July, Martin Keller, director of the National Renewable Energy Laboratory (NREL), told attendees that if new materials and new production methods don’t hit the market, solar will never make the impact we all think possible as a distributed energy source. If you are reading this, we assume you meet Keller’s “really serious” criteria and thus would like an update on some of those new methods and materials on the horizon. As far off as Keller made 2017 technology seem from where it needs to be, we think there are enough smart people working on stuff right now that this challenge will be met. NREL is at the forefront of renewable research and pushing innovation, and scientists there have developed a new perovskite ink with a long processing window that allows the scalable production of perovskite thin films for high-efficiency solar cells. Keller was excited about it and pointed to a chart that showed a severe uptick in efficiency compared to today’s cells. The catch is perovskite solar cells have yet to move beyond the laboratory. The crystalline structure of perovskites must be carefully grown upon a substrate, which is normally done by laboratory-scale spin coating — a technology that can’t be scaled to large-scale manufacturing at this time. 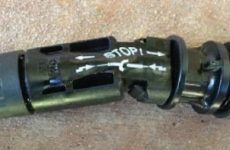 “It’s years out from production, but you can see the increase in efficiency is a very steep slope, and then combine that with new technologies like inks and spray ons,” Keller says. Over at Penn State, researchers are testing a prototype of a new concentrating photovoltaic (CPV) system with embedded microtracking that can produce over 50 percent more energy per day than standard silicon solar cells. CPV focuses sunlight onto smaller but much more efficient solar cells, like those used on satellites, to enable overall efficiencies of 35 to 40 percent. Current CPV systems are large — the size of billboards — and have to rotate to track the sun during the day. These systems work well in open fields with abundant space and lots of direct sun. “What we’re trying to do is create a high-efficiency CPV system in the form factor of a traditional silicon solar panel,” says Chris Giebink, a Charles K. Etner assistant professor of Electrical Engineering at Penn State. 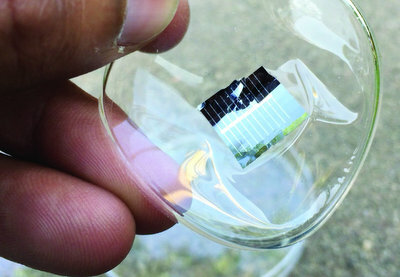 To do this, the researchers embed tiny multi-junction solar cells, roughly half a millimeter square, into a sheet of glass that slides between a pair of plastic lenslet arrays. The whole arrangement is about 2 centimeters thick and tracking is done by sliding the sheet of solar cells laterally between the lenslet array while the panel remains fixed on the roof. An entire day’s worth of tracking requires about one centimeter of movement. The researchers report that the CPV system reached 30 percent efficiency, in contrast to the 17 percent efficiency of the silicon cell. All together over the entire day, the CPV system produced 54 percent more energy than the silicon and could have reached 73 percent if microcell heating from the intense sunlight were avoided. 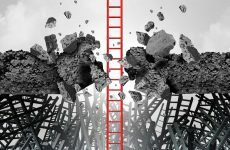 But (there is always a but) Giebink noted that major challenges still lie ahead in scaling the system to larger areas and proving that it can operate reliably over the long term. Insert sad emoji here. 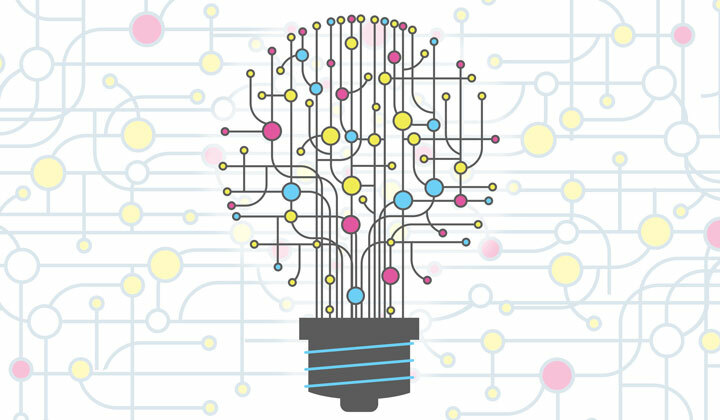 While we wait for those new markets to scale and develop, there are a bunch of intriguing options that could boost efficiencies and bridge the gap. Rayton Solar wants to supplant the very way we cut silicon in the first place — a technique that hasn’t changed much since its inception in the 1950s. Cutting silicon with a diamond saw leads to a significant amount of sawdust because the process wasn’t originally concerned with reducing waste for large-scale production. “We developed a process using ion implantation to cut our very thin pieces of silicon, and there is zero sawdust in the process, so it allows us to increase the yield of the raw silicon and get a 60 percent reduction in the cost to make a solar panel,” says Rayton Solar CEO Andrew Yakub. Phoenix Nuclear Labs (PNL) has signed a long-term agreement to be the exclusive supplier of high-current proton accelerators to Rayton Solar to produce low cost, high efficiency solar panels. Under the terms of the agreement, PNL will deliver the first system to Rayton at the end of 2017, followed by several additional units in 2018 and 2019. The Rayton process utilizes high current ion beams produced by the PNL technology to cleave thin layers of silicon with zero waste. The process uses 50-100 times less silicon than the traditional method. Because of this, Rayton can also use a higher quality silicon that is about 10 times as expensive. “We are capable of making up to 100 times as many solar panels with the same amount of silicon that our competitors use to make just one panel,” Yakub says. In a less radical direction, mono passivated emitter rear cells (PERC) have efficiency seekers excited, and advancements keep happening every day. Silicor Materials says that, in its first ever attempt, it has produced p-type mono PERC cells at approximately 20 percent efficiency, using 100 percent of its standard silicon feedstock. Silicor hopes its technology for manufacturing solar grade silicon provides the solar market with a simple solution to manufacturing the highest quality, highest efficiency solar cells of the future at a substantially lower cost than all other solar grade silicon manufacturing technologies on the market. 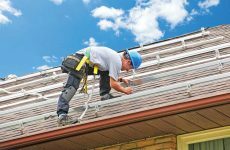 Sol Voltaics has taken a big step toward commercializing a new efficiency-boosting solar technology. Using its proprietary Aerotaxy process to manufacture PV nanowires, its SolFilm solution could boost solar module performance up to 50 percent at a low cost. SolFilm consists of billions of gallium arsenide (GaAs) nanowires oriented facing the sun. The nanowires, each of which is a complete solar cell, convert high-energy sunlight directly into power. Gallium arsenide, previously seen in space and concentrated solar projects, has long held great potential for the mainstream solar industry, but its high fabrication costs have prevented economical fabrication of large solar panels. Manufacturing nanowires with Aerotaxy dramatically reduces the required amount of GaAs and removes the need for a crystalline support wafer, significantly lowering material costs. Sol Voltaics just closed a record funding round of $21.3 million (following a $17 million investment last year). The new funding will be used to accelerate commercialization of the technology. This is the part of the modules section when we throw an obligatory mention to Tesla and its new, mysterious Solar Roof. Building-integrated PV tiles are not new, but like the cool kid who started wearing bell bottoms to school, Elon Musk has made them trendy again. Any casual conversation I have about the solar industry outside the office always leads to the layperson asking about Tesla’s Solar Roof. So, word is out. The real hook of the solar roof is how it replaces the roof itself. But if you add in a $20,000 cost for a roof replacement as EnergySage did (based on a Consumer Reports estimate of such a job for that house size), the non-solar roof is still a better value. Put more simply, GTM Research determined that Tesla Solar Roofs produce about 6 watts per square foot, whereas a high-efficiency module would produce 19 watts per square foot. There is also a potential hang up with applying for ITC credits because not all of the shingles being installed will be solar shingles. Anyway, we wouldn’t bet against Tesla making this concept happen as the costs become more competitive over time, but a bit more quietly, Palo Alto-based startup Forward Labs entered this space at the same time as Tesla, claiming to be 33 percent cheaper, more efficient and easier to install — 19 watts per square foot of energy density at about $3.25 per watt, installed in two to three days. Forward Labs uses a proprietary five-layer construction. A robust glass panel sits atop an optical layer, which cloaks the underlying black monocrystalline solar cells and enables eight possible color choices. These top layers are embedded over a galvanized metal form-factor that appears nearly identical to the non-solar portions of the roof. 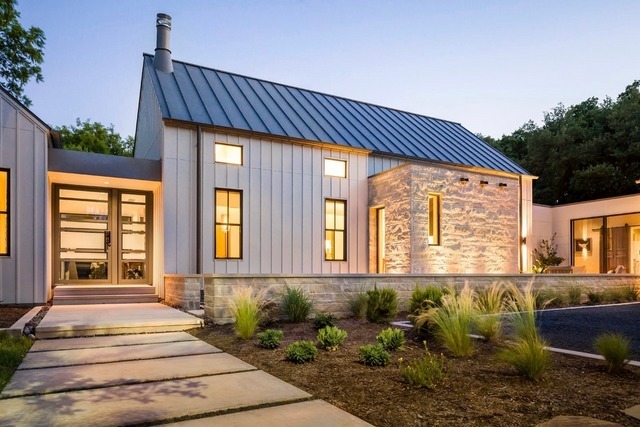 The solar roof not only weighs the same as a composite shingle roof, its sleek design also vents cool air under the solar cell layer, keeping operating temperatures down while maximizing cell efficiency. Current technology still offers a ton of potential, especially with tweaks to traditional panel architecture. Here are four recent developments. 1. Maxim Technology, which we initially reported on to start the year in our Innovations Issue, is gaining momentum with its module optimization technology — a chip that is installed directly into the PV module instead of a diode. The installer can simply wire this system with a string inverter as they normally might and achieve full optimization, MPPT and rapid shutdown compliance. The Maxim technology, over time, could change the value of high-efficiency modules too. Certain mono PERC modules, for example, are prone to hotspots, which can counteract their added efficiency value. Incorporating cell-level optimization would remove that issue. 2. The two leading thin-film solar manufacturers, First Solar and Solar Frontier, represent a combined manufacturing capacity of 4 GW. While they do not pose a short-term challenge to crystalline silicon players’ market dominance, ongoing innovations will ensure thin-film remains a significant player, according to Lux Research. Of the two, First Solar is far bigger, with expertise in utility-scale systems and a new large-format module design that will help maintain its GW-scale presence in utility-scale systems, as deployment grows in emerging markets. Solar Frontier has gradually diversified its business away from its home market of Japan and is making steps toward a rooftop BIPV product. First Solar’s further growth hinges on plant-wide adoption of its Series 6 module and achieving systems costs below $1 per watt. Solar Frontier’s future rests on its ability to move its success in the lab to commercial production, and a partnership with a storage provider to integrate a lithium-ion battery option with its residential systems. 3. In the add-on category there is PLANT PV’s new Silver-on-Aluminum paste. The goal here is providing a 1 percent increase in relative power output for c-Si solar cells via easy implementation with no added investment cost for cell producers. Silver-on-Aluminum paste provides cell manufacturers with the ability to print the paste directly onto dried aluminum film, allowing them to cover the entire back of the wafer with aluminum paste and obtain the beneficial passivation of a continuous aluminum back-surface field. 4. Incremental efficiency improvements continue from the traditional sources as well. Panasonic Corp. achieved a new leading output temperature coefficient for mass-produced silicon photovoltaic modules, at -0.258 percent /°C. This improves on the previous temperature coefficient by 0.032 points at the mass production level, highlighting the positive temperature characteristics of heterojunction solar cells and further improving Panasonic’s unique heterojunction technology. Panasonic HIT modules, which boast an improved output temperature coefficient, will nearly halve the decline in the conversion efficiency, significantly increasing performance in high temperature settings. Chris Crowell is managing editor of Solar Builder.